While IndiGo's intent may be good news for the government, Air India's allure will depend on the government's ability to write off nearly half of the $8 billion debt that's not backed by assets. IndiGo, India's biggest airline, expressed interest to buy a stake in national carrier Air India Ltd. While IndiGo's intent may be good news for the government, Air India's allure will depend on the government's ability to write off nearly half of the $8 billion debt that's not backed by assets. Unprofitable for a decade, the decision to privatise the airline underscores Mr Modi's will to risk a potentially unpopular decision at a time when many of the nation's state-run lenders have been seeking capital injection from taxpayer funds amid mounting bad loans. Union Finance Minister Arun Jaitley told reporters in New Delhi Wednesday that a group led by him will decide on the amount of stake to be sold and Air India's debt. A government panel had earlier recommended privatising the airline by possibly asking the buyer to absorb more than $3 billion of loans linked to aircraft purchases, a person with direct knowledge of the matter told Bloomberg earlier this month. Air India, which is known for its Maharajah brand icon, traces its roots to Tata Airlines, founded in the 1930s by the then-patriarch of Tata Group, JRD Tata. A member of the global Star Alliance, it now has a fleet of about 154 planes, according to government data. A stake in Air India may help IndiGo enhance its overseas network. This isn't the first time India is attempting to sell the airline. In 2000, the Tata Group had teamed up with Singapore Airlines Ltd. to bid for a stake when the then-government headed by Atal Bihari Vajpayee sought to sell as much as 60 percent of the carrier. Fierce political opposition scuttled the plan. Subsequent governments have shied away from a sale even as its share in the local market plummeted to 12.9 percent from 35 percent a decade back, placing it joint-third along with SpiceJet Ltd. The company made an operating profit of about 1 billion rupees ($15.5 million) in the year through March 2016, aided by a drop in oil prices. It still posted a net loss of 38.4 billion rupees, according to the government. IndiGo may face rival bidders too. Tata Sons Ltd., the conglomerate that had expressed interest in Air India back in 2000, may again be drawn to a potential sale, some local media have reported. N Chandrasekaran, the chairman of the group, led informal talks with the government to buy 51 percent of the airline, again partnering with Singapore Airlines, ET Now television channel said this month. The government panel, which will include the aviation minister, will decide on the unsustainable debt, hiving off certain assets to a shell company and privatising three profitable units, government spokesman Frank Noronha said in a Twitter post Wednesday. Workers unions said they will oppose the move to sell the airline. If the government is willing to write off the airline's debt, it should do so for the current management as well, said JB Kadian, general secretary of the Air Corporation Employees Union, which represents about a third of the carrier's 27,000 workers. 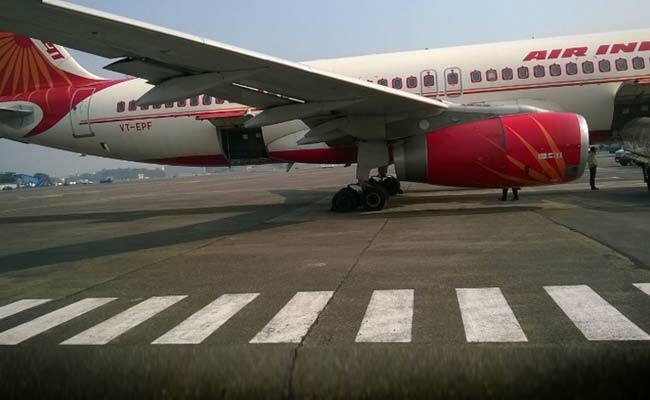 Niti Aayog, the government's top policy planning body, has suggested options for the future of Air India earlier this year, including hiving off real estate assets before privatizing the carrier and writing off half of the debts accumulated by the airlines.